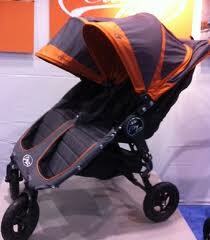 The fabulous Baby Jogger City Mini Double has just got better with the addition of the City Mini GT Double!! 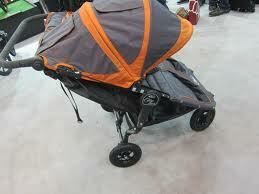 The great features of the City Mini double remain ie the easy fold, the large basket, huge hoods. 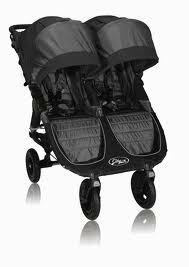 However the addition of forever-air tyres, a handbrake, adjustable handle and larger seat units will make the Baby Jogger City Mini GT Double simply one of the best side by side twin pushchairs on the market. Large seat units - bigger than the City Mini. Handbrake, adjustable handle. Huge hoods. 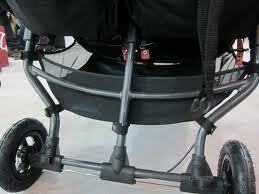 Easier to access large basket with additional storage pocket. 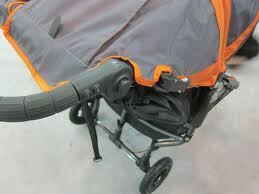 Upright seats which recline to flat so are suitable from birth. 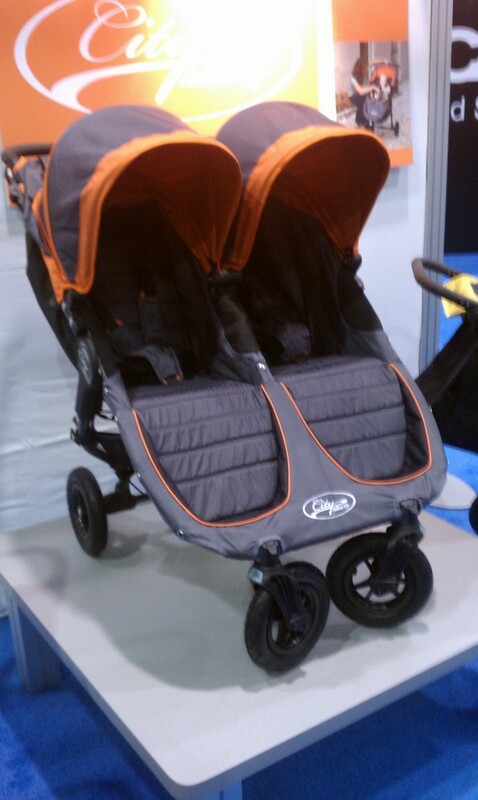 Option to have one or two compact carrycots - when 2 carrycots are added the seat fabric can be stripped off to make a great looking twin pram. Highly manoeuverable. Folds very flat for a double. Removable auto close lock. Fits through a standard doorway. 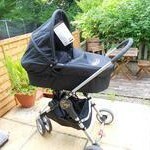 Any other cons are yet to be discovered, but all my City Mini Double cons have been addressed in the GT model, so hopefully it will be a perfect twin pushchair.